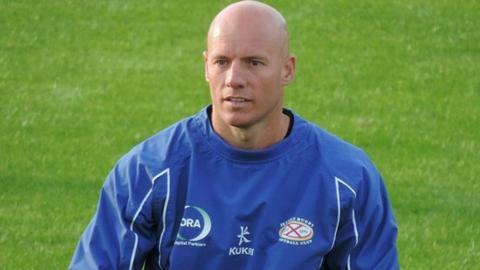 Jersey are making "huge strides" under director of rugby Harvey Biljon, according to chairman Bill Dempsey. Biljon kept Jersey in the Championship at the end of last season following and the side are currently sixth in the table. "I think we've made huge strides and I think Harvey and Steve (Boden) are doing fantastic work," Dempsey said. "I think a lot people thought 'this squad is not the full strength squad and is not as strong' but actually there was a game plan in place to go and play Worcester that night and it very nearly worked for us," Dempsey told BBC Radio Jersey. "We got two points, we possibly deserved three. I'm not sure if we deserved the win but the opportunity was there to win it, so that's how far we've come."